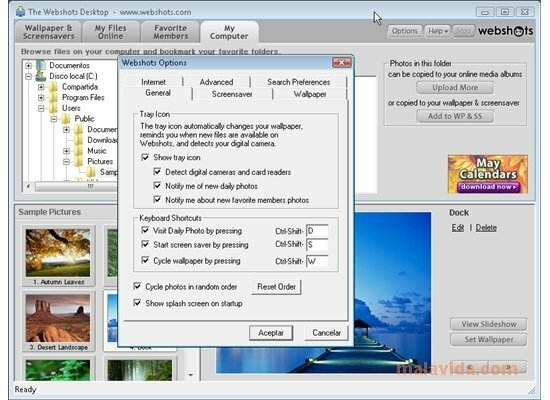 Photo sharing websites like WebShots Desktop have become very popular, and this is because they offer us an easy and often free way to have entire photo collections on the Internet, available for friends, family and the rest of the user community to see. 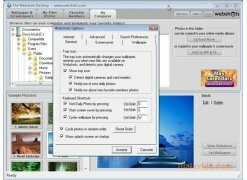 Flickr, Picasa or Jalbum are some of the main sites that offer their storage and photo publishing services, which can be accessed by simply filling in a free registry on their website. 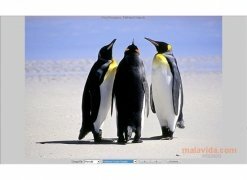 But there are others that although less known, are equally interesting, like WebShots, which also offers us Webshots Desktop, its interesting image manager. 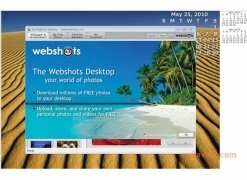 If you would like to manage the photos that you share with WebShots, download desktop wallpapers, or other users' images from your desktop, without having to open a browser, try out WebShots Desktop. 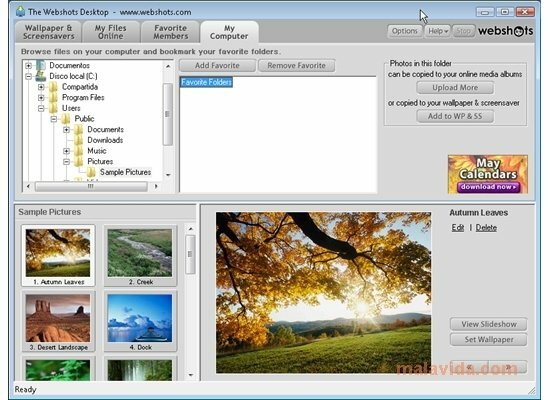 It's a lightweight application from which you can access the contents of this experienced photo publishing and sharing portal. With WebShots Desktop, you'll easily be able to manage and organize your photos and access large photo collections.